I really don't know what you are suggesting or describing as a benefit. You can still find them in Magic Keys...You can also find most monsters in the story keys.... Magic keys are determined by the level of your lead monster. If you want a weak key, use a low level monster when acquiring a new key....I don't understand what more you're asking for. Honestly I've heard enough requests about the story boss difficulty. I don't want to make it too hard for some other players. There are loads of very difficult post-game battles. If you want a challenge try to beat Terry and Milayou. I increased them again but I haven't heard any feedback. If they are too easy then I may have to make some changes. Wow, I didn't see this post until now. Awesome to see some dedication to trying to find the optimal path. That's usually what drives me in a game. Thanks for understanding my reasoning. Some have said there is too much monter variety, to which I feel like asking "Did you LIKE collecting and managing Magic Keys for very particular spawns? Because I sure didn't!" The lack of a decent end game training area is what makes a lot of the pokemon-likes falter. I was pretty stoked to add this. I actually have no idea how the coding for the running away is handled. It was something of a convenient fluke that it just went away. Have you made it to the Lonely Key? It also has an end-game training area. I am merely exaggerating a wish that he not commit any of his money to programs which work against LGBT+ Death seems the most likely. I have little faith that old and successful have any reason to change their minds. Especially if their beliefs contain any sort of superiority complex. I personally define old as an unwillingness to learn about or adapt to the world as it changes. Some people get old sooner than others..
On one hand I find it unfortunate that he receives royalties. It does give the music a less pleasant context. On the other hand, It is his past creations that are valued in combination with a product created by many others. I doubt there's anyone stoked to see what he comes up with next. I guess we can hope he dies soon and doesn't pass his royalties onto hateful causes or children. These guys are all breedable in my hack. You could say the vaguest goal of my hack was to make the game take twice as long. Lately I've been strongly considering making a hack to adjust and rebalance the monster stats by rarity. It was always a bit ridiculous how some guys were super difficult to make but had terrible stats. I tried to make it pretty tough, with lots of variety. Also spent a lot of work tailoring the enemy encounters to be a bit more appropriate than random. I hope you give it a try and let people know what you think. I've looked at the sprites using on of those tools. I couldn't make significant changes without also changing animation code I'd love to see enough interest for the modding community to grow. Absolutely one of my top favourite games. Which makes it all the more puzzling why there aren't more hacks available. There's too many pokemon hacks to count. I didn't find away to change the difficulty the way you mentioned. Instead I just made the whole game much harder. If it's easy to max out your stats, then wild monsters should be a challenge. If you have a completed game on an emulator you can load up my hack and test your end-game team in the Lonely key. S rank tournament is definitely a challenge now too. I am able to set the stats of enemies beyond 999 but that seemed like overkill in most cases. It likely wouldn't be too hard to add new large sprites, the problem is the animated sprites. I don't know how to change the different types of animations. (each have different pieces that flip horizontally) If I had the assistance of someone quite adept at reading assembly, I would love to create new maps. I'm kind of dependent on values that have already been found. I was only able to find a few things myself. Hmm, I don't really get the fun of playing through the whole game for an anticlimactic final fight. I mean also if Divinegon is in Oasis at level 40 how do you win? Just reshuffle? If I were to do this it would be based around rarity. Higher rarity -> better stats, higher chance to get better skills, less likely to appear in story keys To some extent I would want the random stats to be lore compatible. For example Tortragon should have high def. Monster resistances seems like one of the most interesting things to change but it would also need some sort of pattern to ensure balance. I wouldn't touch families or breeding I would give the option to set the difficulty per stage. Hopefully I could configure it well enough that if you loved the Oasis shuffle but hated Pirate, you could reshuffle just that one world. I would want it so that once you beat the game you could reshuffle so Oasis monsters are level 80 etc. I dont fully understand the appeal of a randomizer. How is it supposed to work? It seems to me that it would almost always been broken/unbalanced. I've completed a hack but I've wondering about creating a tool to shuffle this game. What kind of options would people be looking for in a randomizer? Randomized enemy levels would be very difficult. 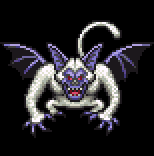 (Level 20 in Oasis would not be fun) Randomized encounters would be dependent on monster stats (a strong monster may be twice as strong as a weak monster at the same level ) Randomized stats would make a mess of the breeding. Randomized skills would need some controls to ensure some skills aren't too common or too rare I would like to define a sort of randomization that doesn't defeat the point of the monster variety and breeding paths. The best I can think of it is create some randomness but base it around monster rarity. When you replay this game what is it that you want to rediscover? So I submitted a new update. If you hack yourself another version of the Baffle, Brawn and Soul keys they will have new challenges. Wow, Thank you for your feedback. I'm happy to see you made it all the way to the end. Don't forget to get the Lonely key for an even better training area. What is your play time? There's some monster choices in Elf and Traveler that I'm considering changing in a later update. (Dracky, AntEater, TailEater) I'm not sure yet. I hope catching monsters from the top-level random masters wasn't too easy. It was intentional, but they are meant to be pretty hard to beat. I will have to check Dimensaur as he should join. I plan to make it so that Lord monsters require that you breed them first before catching is possible. I will have to recheck some values, I didn't mean for bosses with over 999 stats to be recruitable. Sorry for the Baffle Tower. I wasn't motivated to finish that since it required cheats to get. I really wanted to change their dialogue too, but that's a lot of effort. Since you have made it that far I will try to complete Baffle and Soul Towers. I also wanted to make sure the treasure chests weren't crap! Some give Herbs! Once again thanks for playing. I'm glad to see others enjoyed this game as much as I did growing up. Please add a review to RomHacking.net if you have the time! I've considering creating maps for all the monster locations, what do you think?